The Myrland Marketing Minute Blog ARE MARKETING CLIFFS AS DANGEROUS AS FISCAL CLIFFS? 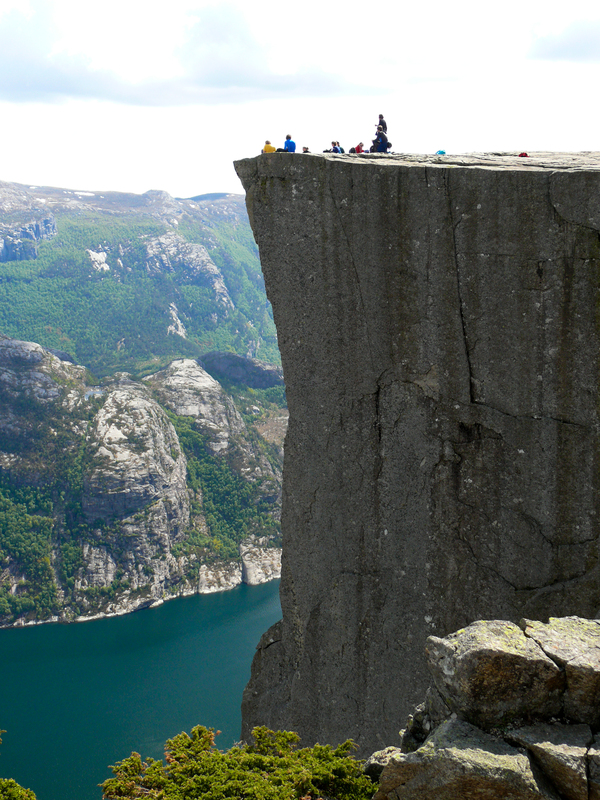 ARE MARKETING CLIFFS AS DANGEROUS AS FISCAL CLIFFS? We are all aware of the term “fiscal cliff” these days because of the tax and spend cuts and increases that have loomed large over Washington, DC, and the rest of the United States the past several months. I won’t bore you by rehashing all of the details because you can find 717 million results if you Google the term…seriously…I’m not kidding. Now don’t go checking that number until you’re finished reading this! Suffice to say that Congress had a portion of our fiscal lives in their hands by making decisions that would either avert or jump over the fiscal cliff on our behalf. The use of the word cliff implied danger if we crossed the line. Events and decisions had to happen by specific dates or there could be problems. Keep that in mind as we’ll revisit it in a minute. Was that a vague-enough explanation of the fiscal cliff for you? Good, because I don’t do politics on this blog other than when I wrote I Like The Noise of Democracy. A moment ago, it struck me how similar this is to the planning process we all know we need to go through in our firms. You regularly hear people like me, marketing and business strategists, hammer home the need to have marketing and business plans, which some call Action Plans to make them less intimidating to you. If you relate to #1, congratulations! You need to let me know who you are so we can do a little work on #2’s attitude, okay? If you resemble 3 through 6, let’s talk for a minute, shall we? You are about ready to fall off the Marketing Cliff if you aren’t very careful. What Is The Marketing Cliff? It becomes easier in your mind to avoid the focus, strategy and investment of time needed to prepare yourself for the rest of the year by letting it slide now. The year has already started, so you don’t have to worry about making mistakes, looking silly, not knowing how to prepare a plan, the potential of failing if you don’t achieve what you commit to in the plan, and any of a number of other excuses you might be telling yourself. Stop doing that to yourself. Don’t give yourself any more excuses to step off that cliff, which then gives you the excuse to go unprepared again this year. Your business is too important, and so is your time. So what if you haven’t done it yet? Forget about that. Stop beating yourself up. You want to talk about making a decision that will have an impact on your fiscal life? This one’s in your hands this time. Step away from the cliff. Thanks to ZenPixel for the dramatic cliff photo.